I know this is a popular upgrade that many make as one of their first modifications to their mustang. 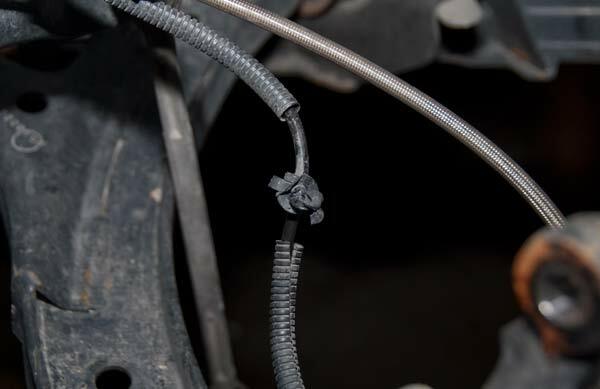 I have had these springs and shocks sitting on the shelf for a while now and finally was able to get them installed. After talking to several guys who autocross and Road Race I ended up going with the Eibach Pro Mustang Springs and the Tokico D-spec adjustable shocks. 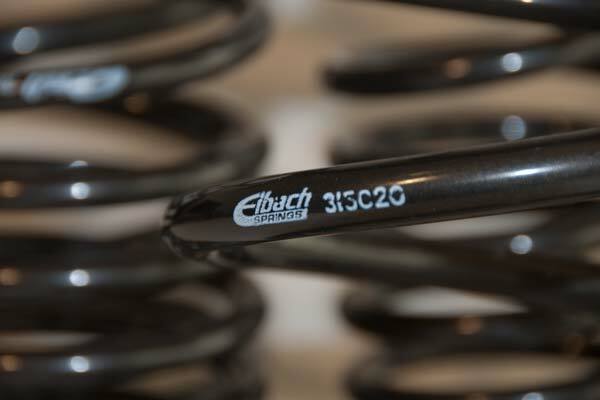 These Eibach Pro Lowering Springs provide a 1.3″ front and 1.5″ rear drop on 2011+ Ford Mustang 3.7L V6 mustangs. Here is my Gallery of the car after its been lowered. I of course was looking more for the performance gains over just looks. I like the lower center of gravity as well as less body roll. Note however that a sport spring is still only 10%-20% greater spring rate than stock. So its still going to be considered a racing spring. 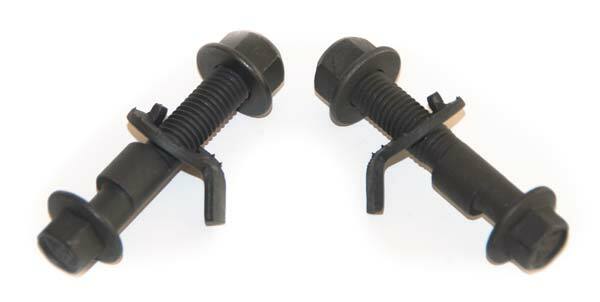 I also got a set of Eibach Camber Bolts these allow for an extra +/- 1 degree of camber to dial in your front end alignment. As with most lowering kits your front wheel camber may be excessively negative afterwards, so go ahead and plan on a pair of these. 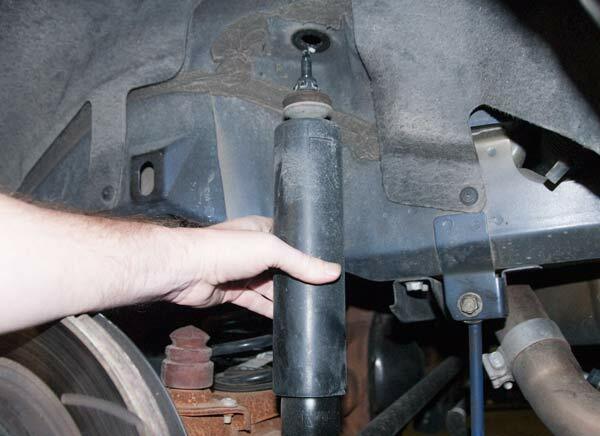 You should also plan on a panhard bar to realign your center axle after lowering. 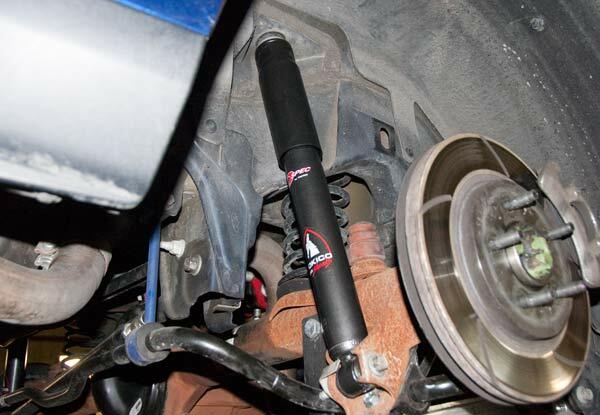 The Mustang Tokico D-Spec Shock & Struts are a very nice upgrade over stock and over non adjustable shocks. 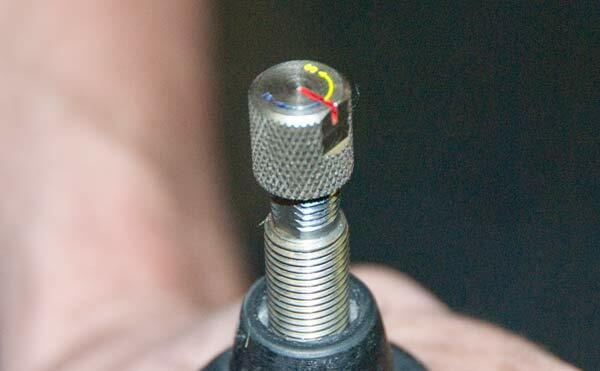 They have an adjustment knob that lets you set them very precisely and not just at a few different stops. 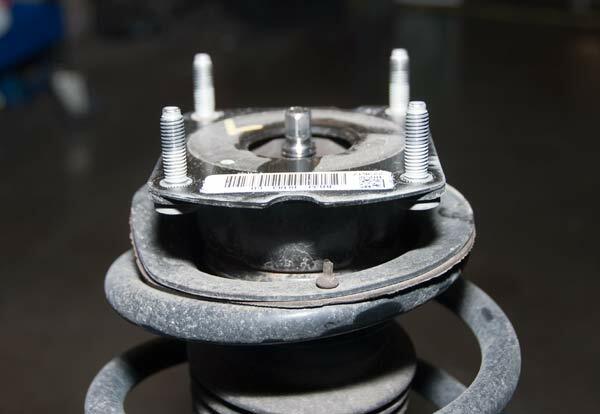 The older 05-09 struts do require you upgrade to the Ford Racing GT500 Style Strut Mounts at the same time. Another welcome upgrade from factory suspension. 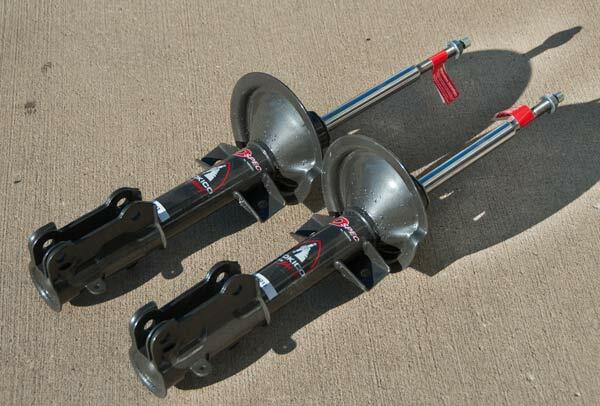 These allow for more flex in the strut so that it will not bind as much as the factory stock mount. 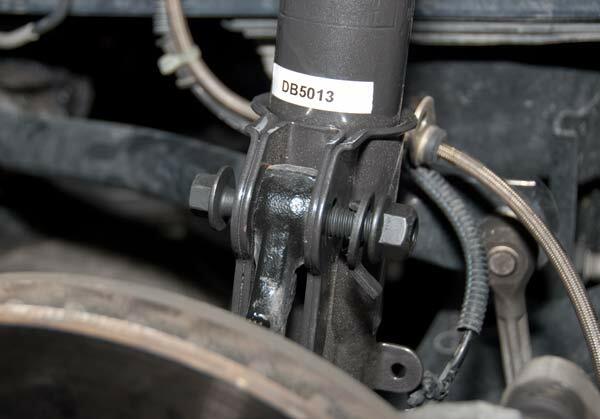 The 10-14 Struts have a shorter shaft at the top. 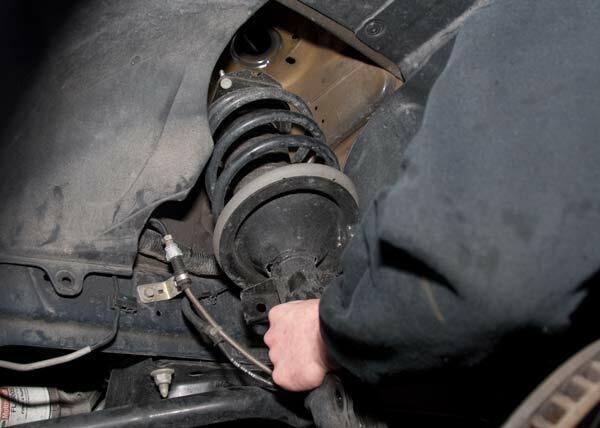 Let me clear up a misconception about springs and shocks. 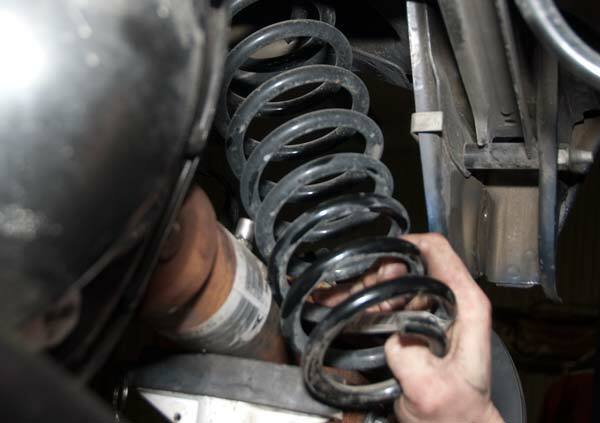 Springs are not what are going to make your ride stiffer on the street its a lack of good shock dampening. 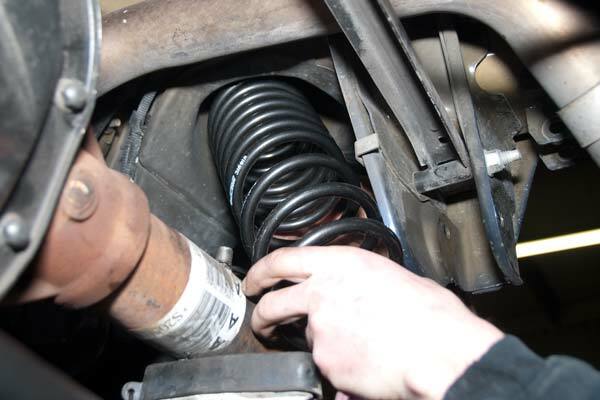 So an aftermarket spring with a stock shock is going to be the worst. 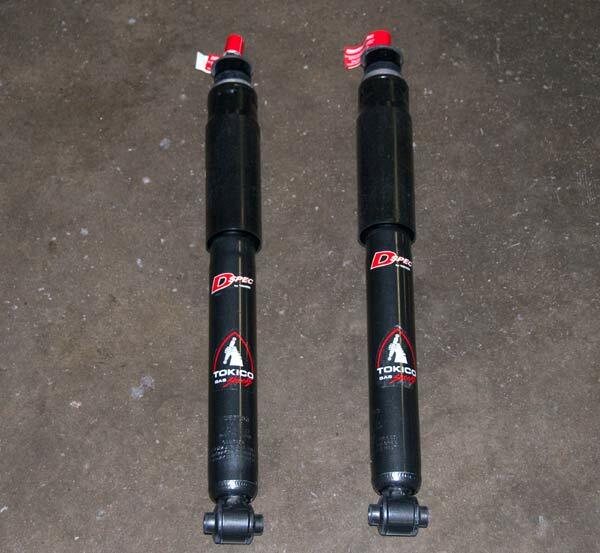 A basic non adjustable upgrade shock is still not great and an adjustable shock should return you to a stock feeling. If you are going to do some serious autocross or road racing then you have to speed a few more dollars and get a professional setup. It will have a much higher spring rate but also a shock that can keep up with it. Drag Racing has a different setup altogether than road racing. So keep all this in mind when upgrading. I went to MC Racing for the install because working on a lift is so much nicer than a garage floor. Plus there is an alignment shop next door. 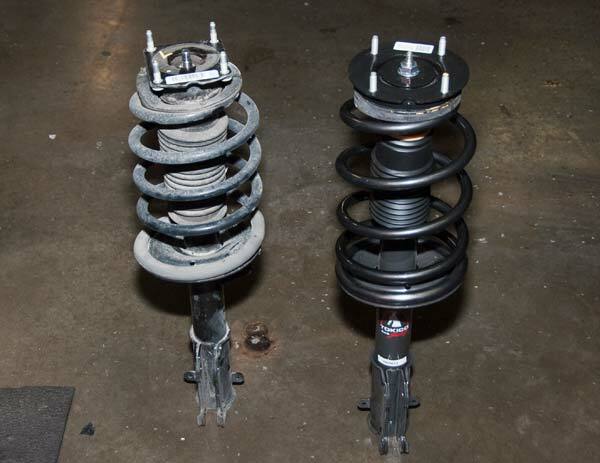 TOKICO may sound strange for a domestic car, but they were the supplier to Ford for the Mustang Shocks & Mustang Struts used on the Mustang Bullit. 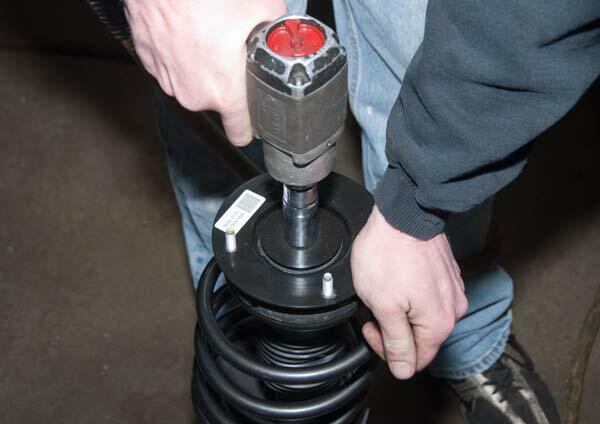 They are a leading manufacturer of Mustang Shocks & Mustang Struts for over 50 years. So I will be putting them to the test. 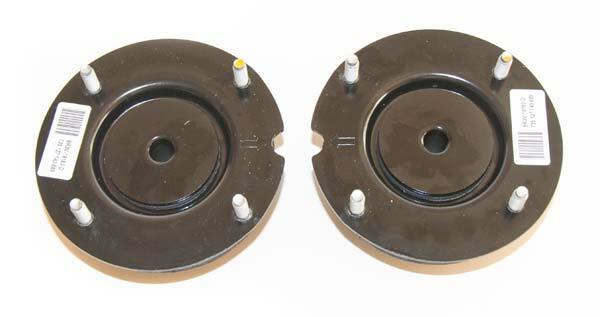 Ford Racing (FRPP) M-18183-C 2011 Mustang GT500 Track Pack style Front Strut Mounts. 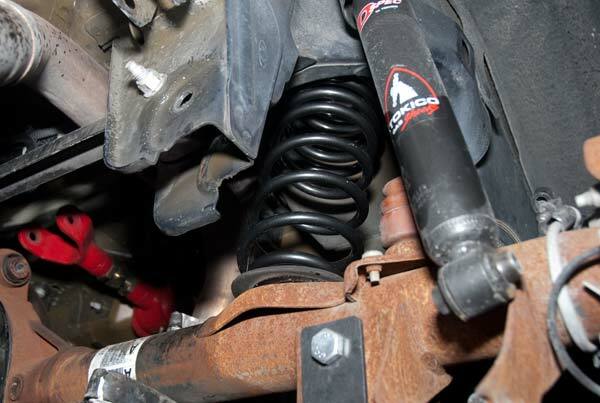 We started with the rear shocks. The were on back order for something like 8 weeks, but they finally came in. 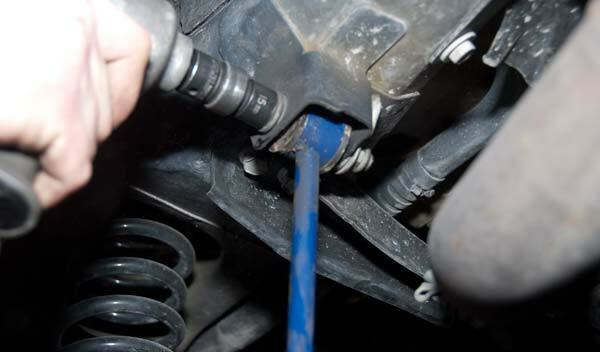 The rear shocks have a cap covering the shaft that you insert the adjustment tool into. Here is said adjustment tool inserted into the shaft. There are not set points you can turn it 1 time or 20 times. Take the wheels off and raise the car in the air. 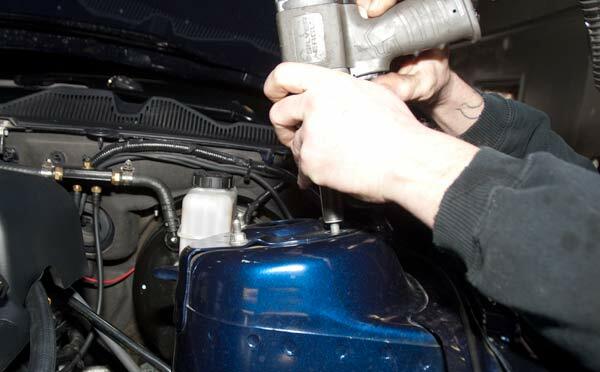 Then start by removing the lower bolt on your stock shock. 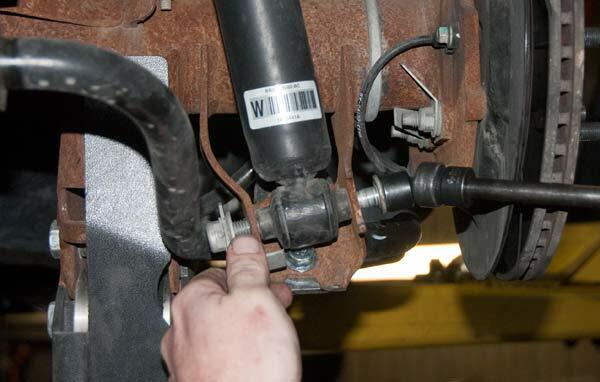 Pull the truck mat out and then take off the top nut of the shock. 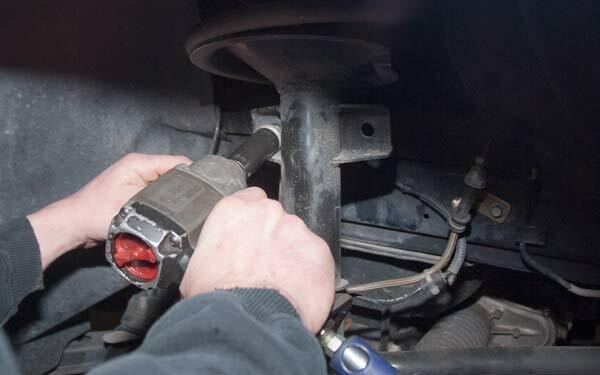 Place the new shock on the car and bolt it up. Put the first nut on and tighten it down. Now the second nut and the cap. Now we move on to the rear springs. 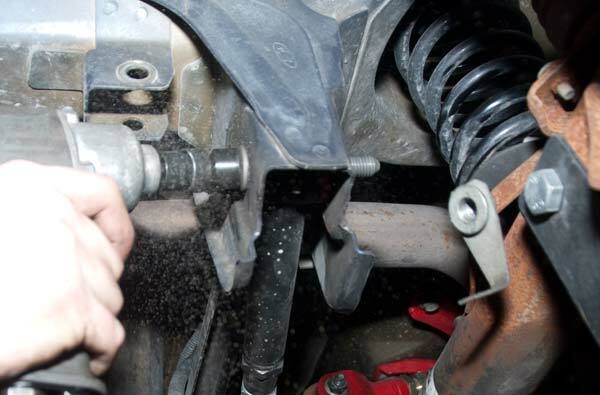 Remove the sway bar end links. Undo the pan hard bar. 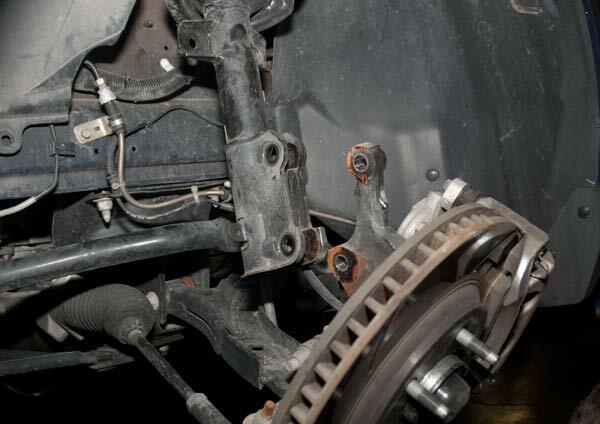 Unfortunately in order for the rear axle to drop low enough you have to also pull the Upper control Arm. Then finally you can pull the rear springs out. 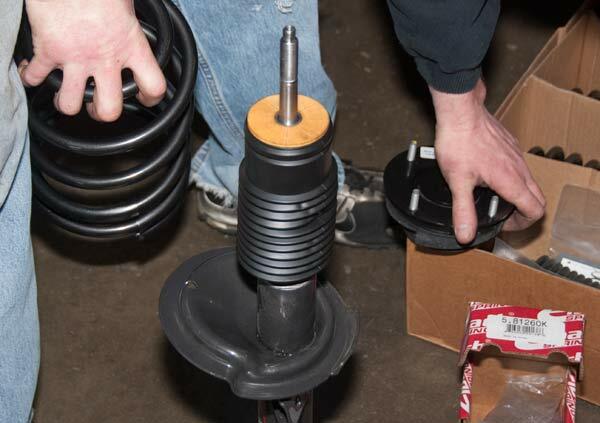 Now place your new springs into place. Once you have it back in place then you can bolt everything back into place. Now we move on to the front struts. 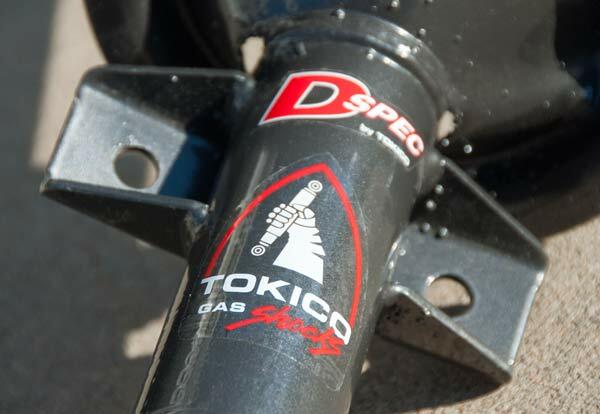 These are the Tokico D-Spec Adjustable Struts. Time to Pull the factory struts. 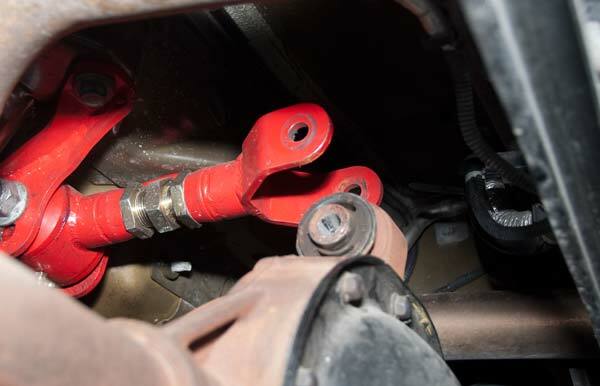 Take off the nut holding the sway bar end link on. Then pull the two bolts holding the strut to the rotor assembly. Pull this cable press in clip from the bottom right side of the strut. It will then separate form the spindle. 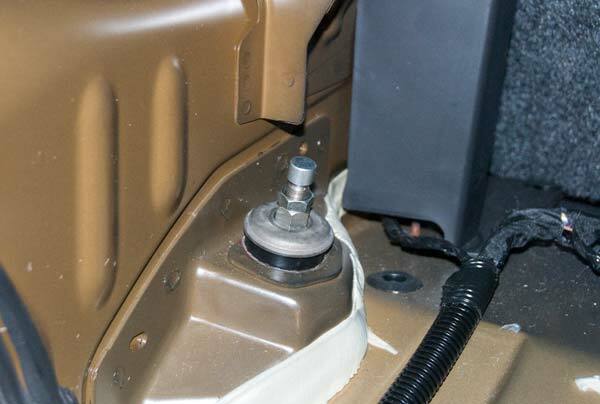 Then you can remove the top 4 nuts to release the strut from the car. Then pull the strut out. 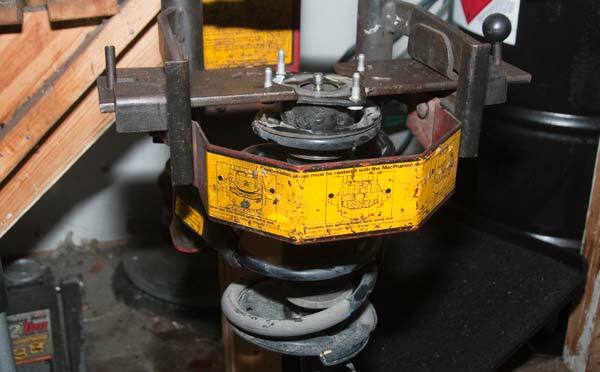 Next use a spring compressor to release the factory springs. 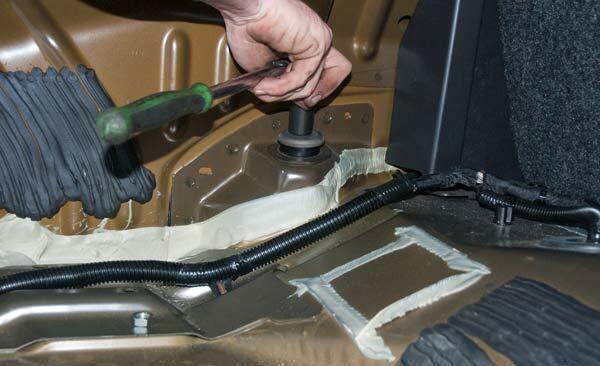 If you buy all new bump stops then you do not have to take the factory setup apart. Note. Always use a spring compressor. That spring will pop off and injure you quite seriously. 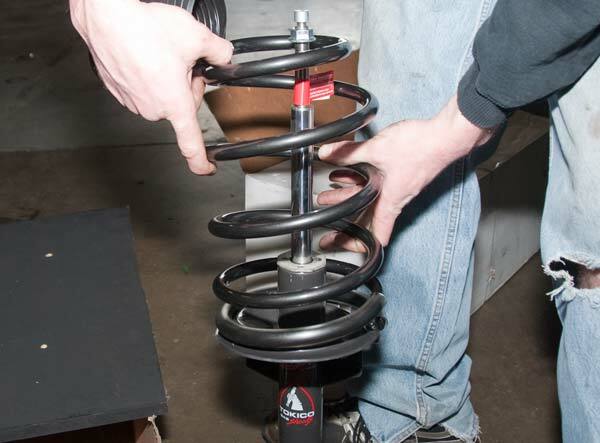 Here is the new Eibach Spring going on the new Tokico Strut. 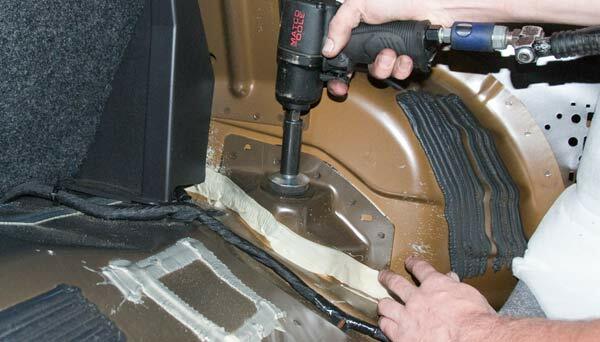 Install your bumpstop and boot. 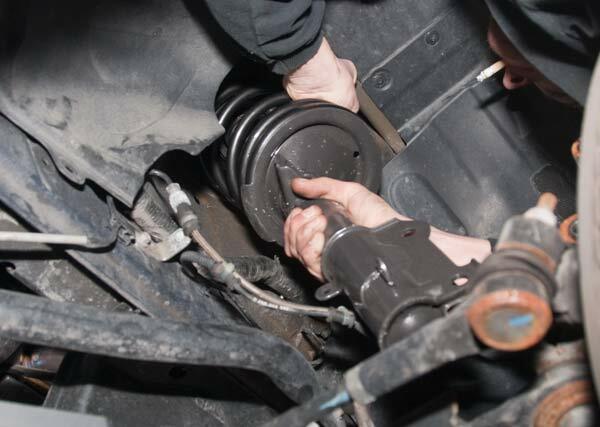 The set on your new Ford Racing Strut Mounts and tighten the nut all the way down. Here is a comparison of old strut versus new. Close up of the factory solid mount. The 10-14 shaft is shorter than the 05-09. I bought these in 2011 so a newer aftermarket design was not out yet. 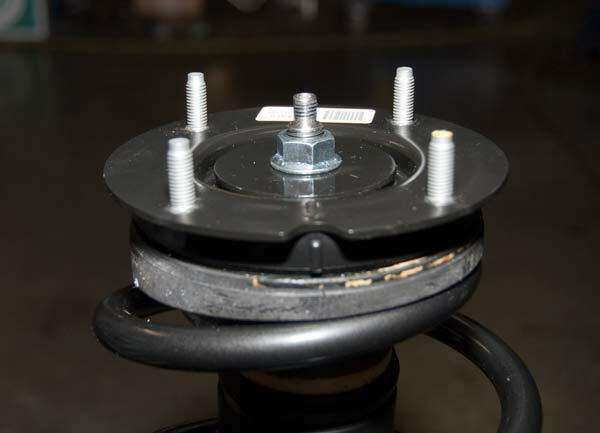 Close up of the Ford Racing Strut Mount. Now its time to reassemble. 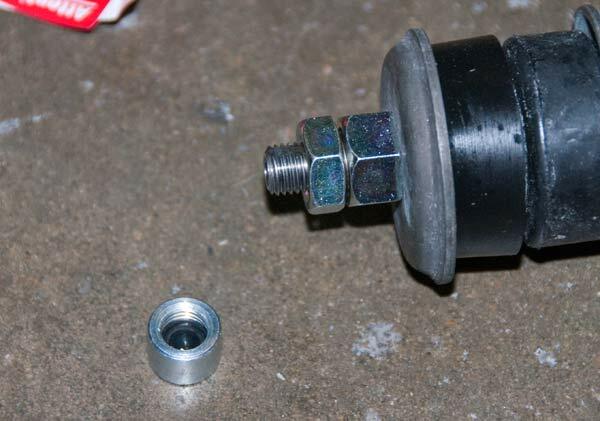 Put your new Eibach Camber bolt in the top hole. 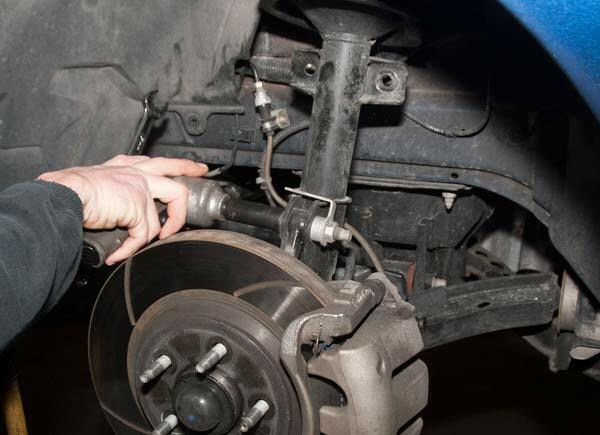 Your alignment shop will get it adjusted properly. Here you can see the final result. Both are 19in Wheels. To view a full gallery of new pictures click here.